Hellebore plants, sometimes referred to as Christmas rose or Lenten rose because of their late winter or early summer blooms, are usually resistant to pests and diseases. Deer and rabbits also rarely bother hellebore plants because of their toxicity. However, the term “resistant” does not mean that hellebore is immune from experiencing problems. 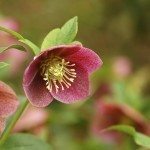 If you have been concerned about your sick hellebore plants, this article is for you. Read on to learn more about diseases of hellebore. Hellebore diseases are not a common occurrence. However, in recent years a new hellebore viral disease known as Hellebore Black Death has been on the rise. Though scientists are still studying this new disease, it has been determined to be caused by a virus known as Helleborus net necrosis virus, or HeNNV for short. Symptoms of Hellebore Black Death are stunted or deformed growth, black lesions or rings on plants tissues, and black streaking on the foliage. This disease is most prevalent in spring to midsummer when warm, damp weather conditions provide an ideal environment for disease growth. Because hellebore plants prefer shade, they can be prone to fungal diseases which frequently happen in damp, shady locations with limited air circulation. Two of the most common fungal diseases of hellebore are leaf spot and downy mildew. Downy mildew is a fungal disease that infects a wide array of plants. 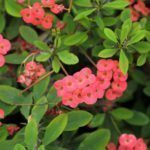 Its symptoms are a white or gray powdery coating on leaves, stems and flowers, which may develop into yellow spots on the foliage as the disease progresses. Hellebore leaf spot is caused by the fungus Microsphaeropsis hellebori. 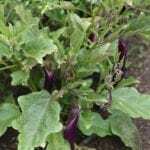 Its symptoms are black to brown spots on the foliage and stems, and rotted looking flower buds. Because Hellebore Black Death is a viral disease, there is no cure or treatment. Infected plants should be dug up and destroyed to prevent the spread of this harmful disease. Once infected, fungal hellebore diseases can be hard to treat. 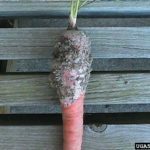 Preventative measures work better at controlling fungal diseases than treating plants that are already infected. Hellebore plants have low water needs once established, so preventing fungal diseases can be as simple as watering less frequently and watering hellebore plants only at their root zone, without allowing water to splash back up onto the foliage. Preventative fungicides can also be used early in the growing season to reduce fungal infections. Most importantly though, hellebore plants should be properly spaced from each other and other plants to provide adequate air circulation around all aerial parts of the plant. Overcrowding can give fungal diseases the dark, damp conditions in which they love to grow. Overcrowding also leads to the spread of fungal diseases from foliage of one plant rubbing against the foliage of another. It is also always important to clean up garden debris and waste to control the spread of disease. Read more articles about Hellebore.